How many bones make up the spinal column? There are 33 bones that make up the spinal column. There are 7 bones in the neck (cervical spine), 12 in the trunk (thoracic spine), 5 in the low back (lumbar spine), 5 fused bones that attach the spine to the pelvis (sacrum) and 3 fused bones form the ‘tail bone’ (coccyx). What is the SI (sacroiliac) joint? This joint is formed at the junction of the sacrum (the end of the spinal column) and the pelvis (specifically, the iliac bone of the pelvis). It is a vertical joint that experiences shear stress. The two bones are held in place and stabilized by very strong ligaments. This joint is a common source of buttock/back pain. What are common treatment options for sacroilitis? The bones of the spine (vertebrae) are stacked on top of each other with soft cushioning discs located in between them (intervertebral discs). These discs can be imagined as a jelly doughnut. 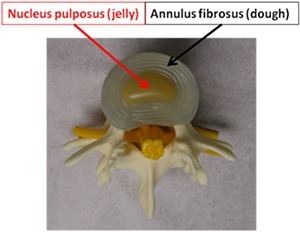 The outer portion of the disc (called the annulus fibrosus) is like the dough of a jelly doughnut and the inner portion (nucleus pulposus) is similar to the jelly inside the doughnut. In a normal disc, all the nucleus pulposus remains inside the annulus fibrosus, which is shown to the right. What is a spinal nerve? 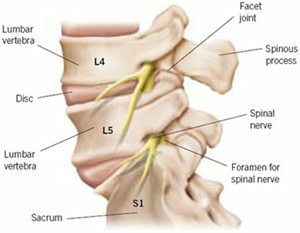 The nerve roots exit the central spinal columns at different levels of the spine; for example, the L4-5 nerve root is the nerve that exits the spinal column between the L4 (fourth lumbar vertebrae) and L5 (fifth lumbar vertebrae). These spinal nerve roots wind together after exiting the spinal column to form larger nerves (eg: sciatic nerve, femoral nerve, etc). The nerves run down our legs to supply our muscles with the power to move and allow us to feel different stimuli. Hence, when a nerve is compressed (“pinched”) in the spine (most commonly due to a disc herniation, bone spurs, stenosis etc. ), it can also cause pain/numbness/tingling that radiates down the arms or legs. The location of the radiating symptoms helps medical providers to determine at which level the ‘pinched’ nerve is coming from. What are the common causes of neck and/or back pain? A disc herniation is a commonly used term to describe the protrusion or extrusion of the nucleus pulposus through the annulus (think of it as the jelly in the middle of a jelly doughnut leaking out of the dough). Depending on the size of the disc herniation, it may or may not impinge/compress the nerve root that passes adjacent to it. How long will my neck/back pain last? Neck/back pain is extremely common. In fact, 80% to 90% of the adult population in the United States will experience back pain at some point in their lives. While the majority of these episodes are benign and self limiting, up to 20% of people can develop chronic and recurrent neck/back pain. How is the pain in my arm related to my neck? A “pinched nerve” in the neck can cause arm pain, numbness, tingling, weakness, etc with OR without associated neck pain. A herniated disc in the neck can compress a nerve root and because the nerve roots form nerves that go into the arm, a pinched nerve in the neck can cause symptoms in the arm. How is the pain in my leg related to my back? A “pinched nerve” in the back can cause leg pain, numbness, tingling, weakness, etc with OR without any associated low back pain. A herniated disc in the low back can compress a nerve root and because the nerve roots form nerves that go into the legs, a pinched nerve in the neck can cause symptoms in the leg. Why do I need spine x-rays if I already have MRIs? While MRIs are very important for assessing the soft tissue in the spine (nerves, discs, ligaments, etc. ), it does not provide very good information about spinal alignment as most MRI’s are performed while the patient is lying down. Why do I need “standing x-rays” of the spine? Standing xrays of the spine are very important because spinal instability and malalignment are often only diagnosed when the spine is bearing load (holding up your weight while standing). If you are evaluated in our office and do not have STANDING xrays, we may obtain these during your office visit to assess your weight bearing spinal alignment. What is the difference between MRI versus CT scan for the spine? A CT scan is best at assessing the bony structure (vertebrae, bone spurs, assessing bony fusion, etc) while the MRI is best for looking at the soft tissues (nerves, discs, etc.). For the majority of patients, a spinal MRI is the best diagnostic modality. When is spine surgery a good option for me? For most patients, surgery becomes necessary if and when they have failed nonoperative treatment and/or their symptoms are severe enough where they cannot live with the symptoms. Sometimes, surgery is necessary in the absence of pain if there is spinal cord/nerve compression that is causing other symptoms. What other non-operative treatment options exist? Physical therapy, chiropractic care, aquatic therapy, acupuncture, massage, dry needling, weight loss, activity modifications, lifestyle adjustments (ergonomic work station etc); medications (typically a combination of anti-inflammatories, muscle relaxes, and or pain medications), epidural or selective nerve root injections; trigger point injections. Minimally invasive spinal surgery is based on the principal of minimizing “collateral damage” in treating spinal pathology. This means, minimizing or eliminating muscle and bone cutting/removal. Please consult with Dr. Pateder and his team to determine if you are a candidate for minimally invasive surgery. What are the main goals of spinal surgery? How is a “disc replacement” different than a “fusion”? “Disc replacement” is a procedure that allows you to maintain motion at a disc after surgery. 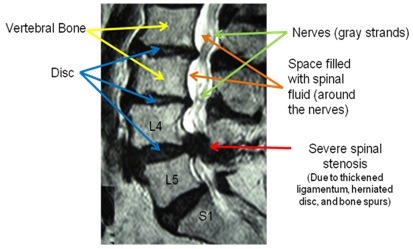 After the removal of an intervertebral disc (due to a herniation or degeneration), the space if filled with an artificial disc that mimics the flexion, extension and other degrees of motion of a normal disc. During a spinal fusion, the degenerative disc is removed and replace with a prosthetic “spacer” to restore the normal disc height. Over time (typically 9 months for cervical fusion and one year for lumbar fusion), bone will grow through the spacer which connects the vertebrae above the spacer to the one below, thus eliminating motion at that level. While disc replacements can be done in the cervical and lumbar spine, most disc replacements are done in the cervical spine (neck) as the outcomes are much better in this part of the spine. Lumbar spine disc replacements are not as successful due to a myriad of reasons. 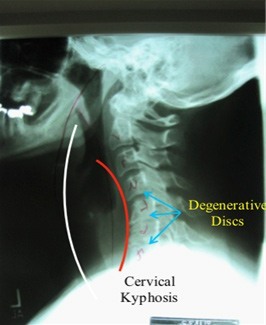 Perhaps the most important difference between the success rates of disc replacement in the neck and low back has to do with the tremendously higher load/stress that is absorbed by the lumbar spine (low back) compared to the cervical spine (neck). Not all patients are candidates for disc replacement; this can only be assessed by a spine surgeon trained in advanced techniques. Is lumbar “spinal stenosis” dangerous? Progressive lumbar spinal stenosis that occurs in most patients is not dangerous in the sense that it will not cause acute paralysis. It can, however, be quite disabling. As it increases in severity, a patient’s ability to stand or walk any significant distance diminishes as they began experiencing back pain &/or leg “heaviness” (pain, numbness, tingling, burning, etc). Very rarely does lumbar spinal stenosis pose a risk for acute permanent nerve injury (loss of leg, bowel or bladder function); however, it can lead to progressive weakness, sensory changes, balance issues, atrophy and bowel/bladder dysfunction. Patients with spinal stenosis generally feel better by leaning forward when they walk or stand (leaning forward decreases the pressure on the nerves). Will I lose my range of motion after my lumbar fusion surgery? Many patients are concerned that if two bones are fused together that they will not be able to bend and twist like they could prior to surgery. While each patient is different, most people will regain most of their pre-op mobility when undergoing a 1 or 2 level fusion. 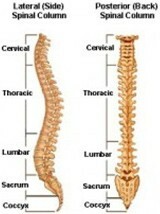 This is because motion of the spine happens at multiple discs and joints in the spine. As fusion it typically done at degenerative discs where there is not much motion before the surgery, there is no significant loss of motion after a fusion. However, if a more extensive fusion is planned, then some loss of motion may be expected. Please discuss this question based on your specific case with Dr. Pateder or one of the physician assistants. A disc herniation is when the soft nucleus pulposus (the “jelly” in the jelly doughnut structure) of the intervertebral disc leaks out. The nucleus pulposus is similar to crab meat in consistency. Depending on the size and location, a herniated disc may impinge a nerve root and cause shooting pain/numbness/tingling in the arm or leg. When the soft nucleus pulposus calcifies, it becomes hard (similar to a bone spur) and is commonly referred to as a “hard disc”. In the most basic terms, it is opposite of normal alignment (lordosis) in the neck. This xray demonstrates loss of the normal curvature of the spine due to degenerative (“worn out”) discs. Due to the degeneration, the vertebrae (bones of the spine) start collapsing on each other resulting in a “forward lean” of the head and neck. Cervical kyphosis can cause neck and shoulder pain as the muscles on the neck have to work harder to hold up the head & prevent it from falling forward. There is also stretching (and pain) of these posterior neck muscles as the alignment worsens. While the white line represents normal spinal alignment (what the spine should look like), the red line demonstrates cervical kyphosis (the curve of the spine is in the opposite direction of normal). A physician assistant is a licensed, board-certified medical professional who has more advanced training than a nurse and is equivalent in training to a “nurse practitioner.” They are trained and credentialed to provide patient care in the office and hospital setting very similarly to a physician with the exception that they cannot be in an independent practice like a physician. They are able to write prescriptions and make many medical decisions. Physician assistants also assist surgeons in the operating room. PA’s work under the supervision of a physician. What is the role of physician assistants in Dr. Pateder’s practice? Dr. Pateder works with two board-certified, highly trained physician assistants (PAs). They are both sub-specialty trained in providing spinal care under Dr. Pateder’s supervision. While the PAs do have their own office hours for evaluation of patients, this is done under Dr. Pateder’s supervision. The PAs never perform surgery; they help Dr. Pateder execute the surgery (help with positioning, hold things in position, hand instruments during surgery, etc) and are a part of the surgical team. They are an integral part of your pre-op and post-op care and are able to answer many of the routine questions that come up. They also are involved in providing care to hospitalized patients. If I see the PA, will I ever see the doctor? The PAs are able to see new patients and help expedite your care. They can do the initial evaluation and order all the appropriate tests. Once this is done, the patient will follow up with Dr. Pateder for a detailed consultation and to go over the results of the initial tests, treatment plan, etc. Please call my surgical scheduler (Veronica Pereyra) at 703-483-4679 and she will help you with scheduling your procedure. We also have insurance coordinators who will get in touch with your insurance company and check your benefits; they will contact you soon after you schedule surgery. If you have any insurance questions prior to scheduling surgery, Veronica can get you in touch with an insurance benefit coordinator. If you have any medical questions about surgery, please call the physician assistants and they will answer them. If you would like to speak to Dr. Pateder, please let the PAs know and he will call you back (typically at the end of the day). Our practice hours are from 8:30am to 5:30pm, Monday through Friday. Appointments can be made by telephoning our practice at (703) 435-6604.